Corn Muffins are something that I’ve wanted to try making forever. I’ve always enjoyed them, but never got around to making them. For this month’s Secret Recipe Club I was assigned to Robin’s blog Penny-Pinching Provisions. What I love about Penny-Pinching Provisions is that it’s really all about the food. There are so many recipes that all sound equally as good. I was so lucky to be assigned to Robin’s blog because there is such a large variety of recipes that really, I could have made anything I wanted! With that said, I had a really tough time picking a recipe because there were so many good ones. I mean, hello – she has over 15 muffin recipes! At first I was planning on making her Peanut Butter and Jelly Muffins (how good do those sound!) but when I saw this recipe I knew that I had to make these. Grease muffin tin to line with muffin liners. Combine all ingredients in a bowl and scoop into muffin tin. This is seriously, one of the easiest recipes and I found myself baking another batch of these on a Monday night between commercials of a really bad show I’m embarrassed to admit I watch. We love muffins at our house! It seems like it is easier to get a toddler to eat something , even meatloaf, if it's in the shape of a muffin. I'm so glad you liked the corn muffins. They are one of our favorites and taste good with so many things! Perfectly quick muffins and sounds tasty. A quick recipe to whip together before a dinner too. these look simple and tasty :) Great src pick~! The muffins look great - just want to slather them with butter and eat the entire batch. I just made cornbread last night and my recipe was very close to this one. I loved it! Great choice! These look lovely. I've never had any type of corn muffin or bread before as they are not common over here so might have to make some myself so I can find out what they taste like! 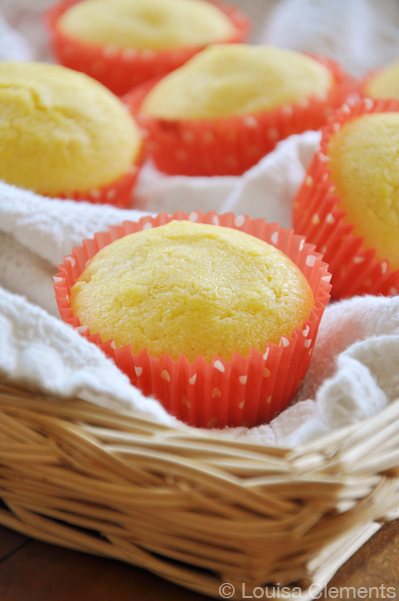 Love corn muffins and this recipe looks like a real winner.